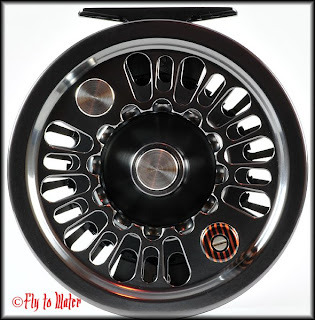 This is a quick look at the Abel Super 12 big game fly reel, designed primarily for large salt water species. The reel itself has the fit and finish of a precision instrument, and Abel does an extremely good job -- possibly the best in the industry -- with anodized finishes. Shown here is my "slate gray" version, and the polish and finish work is superb. Take note of the small end cap with a flathead screw notch in the lower left-hand corner of the photo, as it comes into play during removal of the spool. 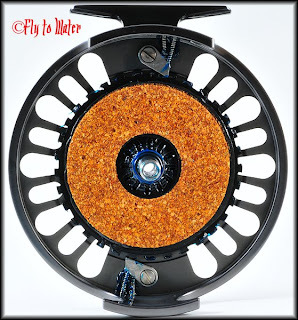 As is traditional with Abel's fly reels, the Super 12 utilizes a cork drag system. This is the most durable, long-lasting, heavy-duty, disc brake in the industry and a similar design is used by Tibor. Drags of this type can withstand sustained friction without overheating and with proper care they will also last a lifetime. Note the double pawl system that creates the reel's distinctive sound. Each pawl uses a pair of springs for tension. Inverting them is also how the reel is converted from left-hand to right-hand retrieve. One of the downsides of this particular design, which uses a draw arm to tension the spool against the cork drag, is that takedown is more problematic than many competing products. The first step is to remove the end cap previously mentioned with a flat-head screw driver or penny. It is a small part and care must be taken not to lose it. Once removed, the drag knob can then be unscrewed which frees the draw arm. Abel seems to have remedied this with the newly launched quick change line of reels. 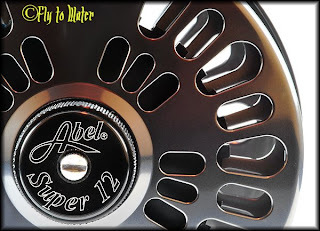 For applications which rarely require a spool change, however, the Super 12 remains a top contender and is one of the reasons why more world records have been caught using Abel reels than any other manufacturer. Maintenance consists of adding a drop of neatsfoot oil to the cork once in a while, as well as a small amount of grease to key friction points. As an open-faced and unsealed disc drag, some care should be taken to avoid getting salt or grit accumulation into the drag face. Overall the Super 12 is the benchmark for performance in the 11/12/13 weight field. It's an incredible piece of craftsmanship and I'm looking forward to doing some field testing later this year.